To reach this cemetery in Spokane - take Wellesley Avenue west from Division Street and continue for about 4 miles. Wellesley Avenue dead ends at the cemetery. 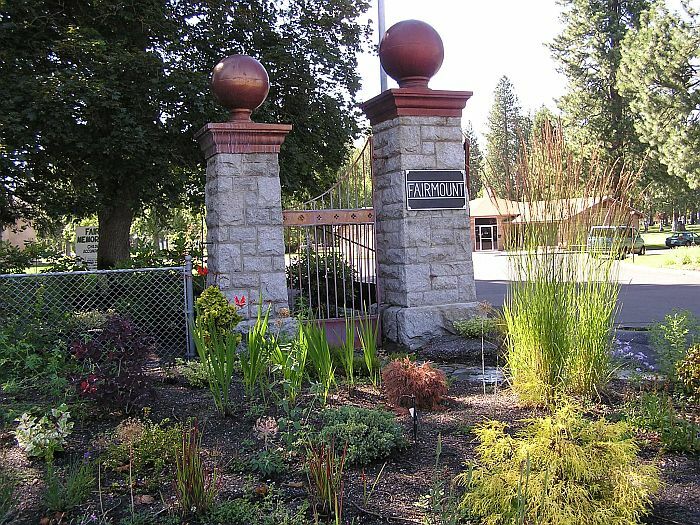 This cemetery was founded in 1888, and was at first established as Spokane's "Official City and County Burial Ground." It covers about 220 acres, with 87 acres developed, and located high on the rimrock of the Spokane River. The cemetery overlooks the "Bowl And Pitcher" and Riverside State Park. This cemetery is now owned and maintained by the Fairmount Memorial Corporation, which owns about 5 cemeteries in Spokane WA.